In this chapter, we reflect critically on the framing of the memory and significance of the 1960 Positive Action Campaign against the pass laws that led to the shooting of protestors by the police in Sharpeville and Langa. The chapter examines the way in which this historic event and subsequent developments are remembered and re-represented in the writings of the intellectuals of the Pan Africanist Congress (PAC). The writings of PAC members considered for this chapter are largely published and unpublished speeches, delivered over the years to commemorate 21 March 1960 or the passing on of the organisation’s founding president Robert Mangaliso Sobukwe. The PAC polemics are published in the organisation’s official publications like The Africanist and Azania News; biographies, autobiographies and memoirs of PAC activists; and press releases. 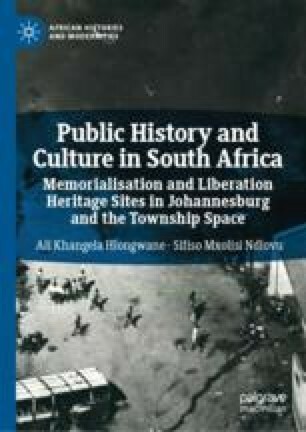 The chapter also examines the way in which the PAC creates its master narrative of the memories of the campaign that led to the killings at Sharpeville and Langa, the arrest of its leaders and members, and its banning, together with the ANC; to assert its contribution to the South African liberation struggle. It also analyses the commemoration of this day including the PAC’s engagement in contestation over counterclaims by the African National Congress (ANC) and the subsequent appropriation of the historical events of the 1960s in the post-apartheid period by the post-1994 ANC led state in its own multifaceted master-narrative. The state has sought, in subtle and overt ways, to project the ANC—now a ruling party—as uniquely responsible for developing South Africa’s liberation heritage sites.